The entire Gerald A. White Crew was killed on their first and only combat mission. Mission #103, 3 February 1944 to Wilhelmshaven, Germany in B-17G #42-37927 (no name) (358th BS) VK-P which was flying on her 11th mission. 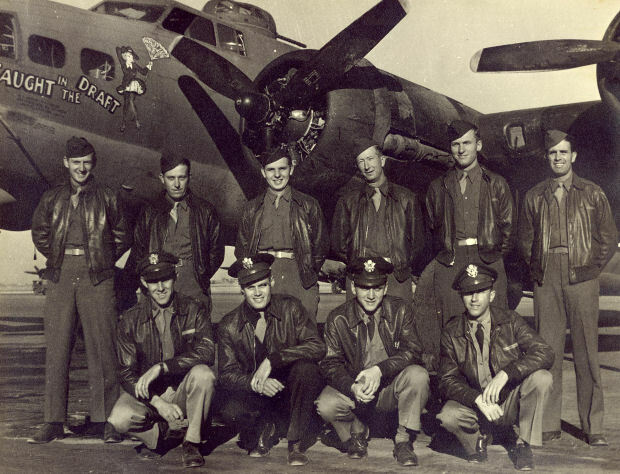 The B-17 was last seen after leaving the target and peeling off from the formation as to penetrate the overcast. It rolled over on its back and headed straight down. It crashed into the North Sea and no bodies were recovered.